Mutants have always been subjected to fear and hatred from humans. Over the years, mutants have to face anti-mutant elements out to kill them. Superhuman strength and durability; Flight; Energy projection; Command of other Sentinels; Ability to turn people into Prime Sentinels; Immunity to telepathic probes. 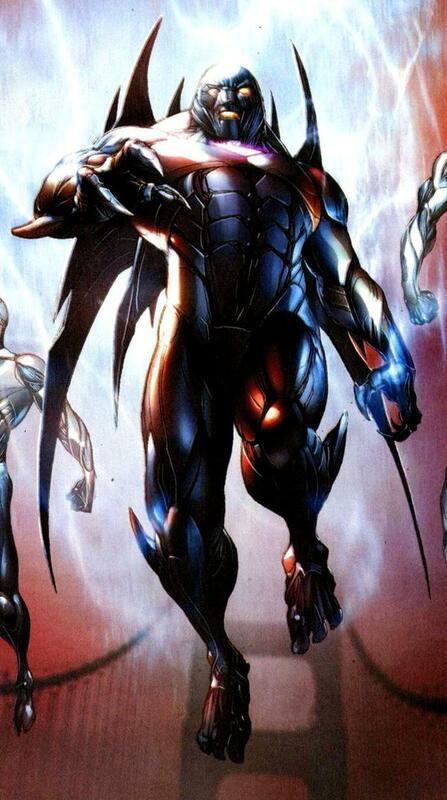 The Sentinel Master Mold and Nimrod, a highly-advanced Sentinel from the future merged together and fought the X-Men. The merged form was sent through the Siege Perilous, a mystical crystal capable of judging anyone who passed through the portal and reincarnating them into a new life. The merged form emerged as a man of flesh. Bastion with no memories. Bastion was taken in by Rose Gilberti and fell in with Graydon Creed's anti-mutant Friends of Humanity. 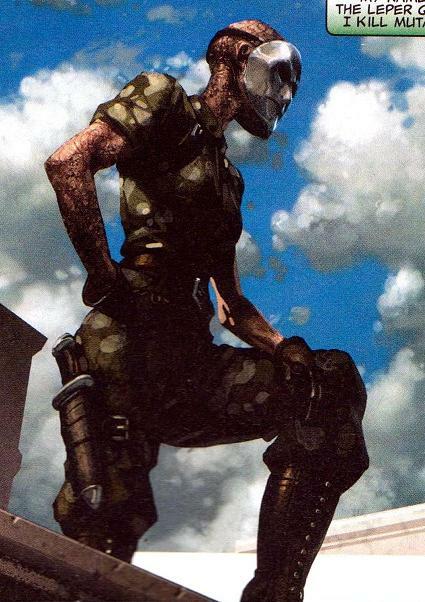 Bastion worked his way up in the government, eventually setting up Operation: Zero Tolerance following the assassination of Graydon Creed, who was running for President on an anti-mutant campaign. O:ZT went on a mutant hunt before it was shut down. Bastion was captured and regained his memories while in SHIELD custody, escaping before he was brought back in by Machine Man and Cable. He was later beheaded by Wolverine, brainwashed as Apocalypse's Death. Much later, his head was recovered by the anti-mutant religious Purifiers, who attached it to a Nimrod body in their hands. Bastion was thus revived. He went on to gain access to the Techno-Organic (T-O) virus from Magus and used it to revive and gain control of several anti-mutant people. 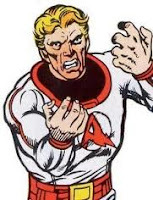 He launched an assault on the mutants in Utopia following the return of the messiah child during the Second Coming crossover. In a battle with the messiah child, he was destroyed. 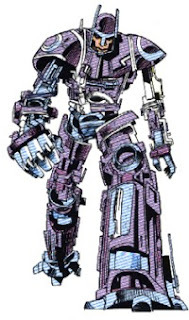 Sentinels are giant robots first created by Bolivar Trask to hunt down and eliminate mutants. Sentinels have undergone many upgrades and variations. Some groups of Sentinels have been led by a single massive Master Mold unit. 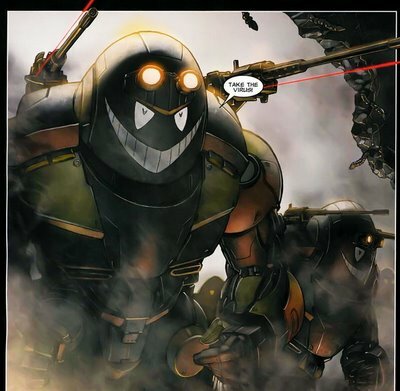 There exists a future variation of the Sentinels known as the Nimrod units. One such unit returned to the past to trouble the X-Men, eventually merging with a Master Mold unit which eventually became Bastion. When Bastion returned with the help of the Purifiers, he found the T-O virus and used it to resurrect several anti-mutant people. 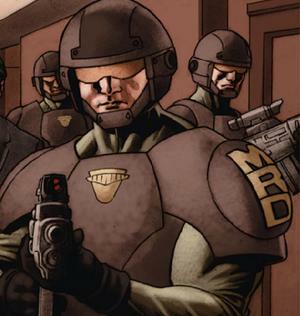 Stryker was a religious fanatic with a military history and a hatred for mutants. He killed his own wife and mutant-born son after his birth. He made a failed suicide attempt. He became convinced that mutants are Satan's children and that the birth of his mutant son was a sign from God that his calling is to eradicate all mutants. He became a popular preacher and televangelist, organizing a secret paramilitary group called the Purifiers to commit hate crimes against mutants. He had Professor X kidnapped in an attempt to use his mind powers to power a machine that would kill all mutants. The X-Men, with help from nemesis Magneto, stopped the ploy. 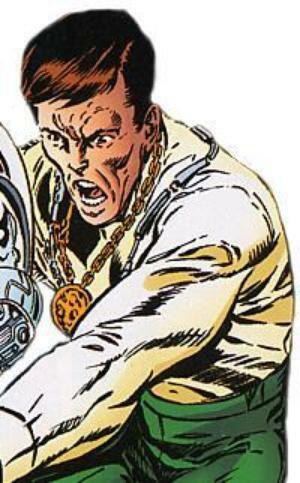 He attempted to kill Kitty Pryde in front of a television audience but one of his securiy guards shot and arrested him. He served a long prison sentence but was rescued by Lady Deathstrike after which he led a crusade against Storm's Xtreme X-Men. He was convinced by Kitty to give up his anti-mutant sentiments. However, he resurfaced with his hatred intact, deeming M-Day as a sign from God to push on with the eradication of the mutant population. He found a damaged Nimrod unit, a future Sentinel and get information of the future from the unit, interpreting the information as prophetic visions. 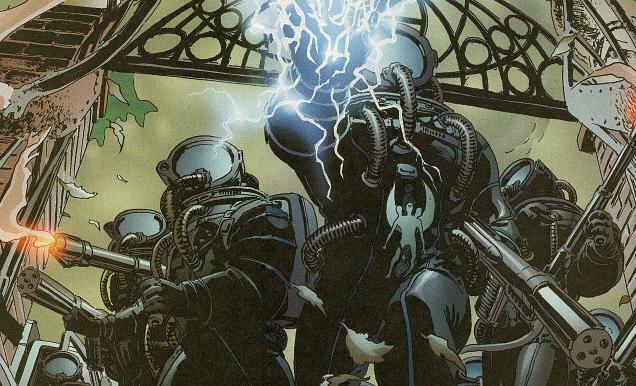 He reorganization the Purifiers and sent them to kill the students of the Xavier's Institute. The Purifiers launched a missile attack that killed a bus full of depowered students and went on to kill a few other mutant students. He led the attack on the Institute himself but was killed by student Elixir. 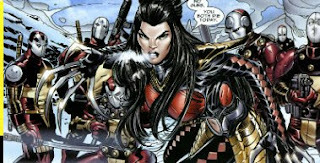 Following William's death, Matthew Risman took over leadership of the Purifiers, employing Predator X and the cyborg Reavers led by Lady Deathstrike in an attempt to grab the messiah child during the Messiah CompleX crossover. The Purifiers failed in this attempt and next revived Bastion. Bastion took over control of the Purifiers and had Risman killed. Bastion resurrected William using the T-O virus. He led the initial attack to capture the messiah child Hope, who had returned from the future. However, he was stopped by the X-Men and he was killed by Archangel. 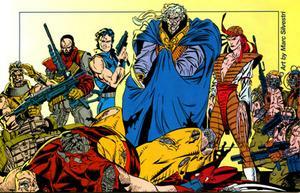 [Active against 80s X-Men: Storm, Colossus, Wolverine, Nightcrawler, Shadowcat. However, he was resurrected by Bastion and under his control obtained a seat of political power, creating the Mutant Response Division (MRD), a United Nations military unit that responds to mutant acts of terrorism. He committed suicide when he was liberated from Bastion's control by X-Factor's Monet. Steven Lang had a fanatical, visceral hatred of mutants. 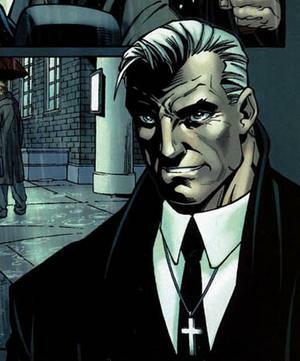 He gained financial backing from Edward Buckman, leader of the Hellfire Club's "Council of the Chosen" and used it to construct a new series of Sentinel robots. 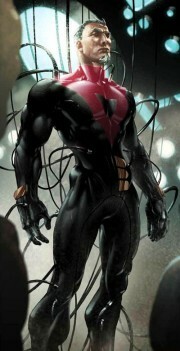 He became in charge of Project: Armageddon and had the Sentinels kidnap members of the X-Men to his space station base. In a battle between his X-Sentinels, android doubles of the original X-Men, and the new X-Men, he was left in a coma. He was later transformed into a techno-organic being by the alien Phalanx. His ally Cameron Hodge eventually turned against him and killed him. He was resurrected by Bastion. Cameron was former college roommates with X-Man Angel (Warren Worthington) as well as his good friend. He convinced Angel to set up X-Factor, a mutant-hunting organization which actually seek to bring mutants in to help train them in the use of their powers. Cameron took the opportunity to increase anti-mutant hysteria through X-Factor advertisements. When Angel was severely injured during the Morlock Massacre, Cameron conspired to have his wings amputated, had him killed in an apparent suicide and inherited his fortune. He was exposed as the leader of the anti-mutant Right organization. He made a pact with the demon N'astirh to gain immortality. During a fight with Archangel (Warren), he was seemingly killed. However, he turned up alive, with his head attached to a cyborg body. 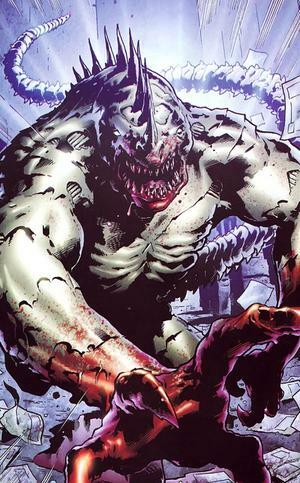 He took a leading role in anti-mutant efforts in Genosha and clashed with the various X-teams during the Xtinction Agenda crossover. He was beheaded yet again and buried under a building by Rictor. He was later transformed into a techno-organic being by the alien Phalanx. Hodge was defeated be fellow techno-organic being Steven Lang when the latter caused the Phalanx citadel to fall from the top of Mt. Everest. His remains were recovered by the Purifiers and he was revived by Bastion. He reorganized the Right. When Bastion began his offensive on the mutant population, the Right base was infiltrated by the New Mutants. Cameron's life-force was absorbed by the New Mutant Warlock. The cyborg Donald held the position of White Bishop in the Hellfire Club Inner Circle. In an organization filled with mutants, he was actually an anti-mutant bigot. 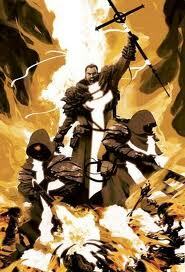 He created an army of cyborgs out of low life thugs and a few mercenaries, known as Reavers, who shared a hatred for the X-Men and Wolverine, in particular. 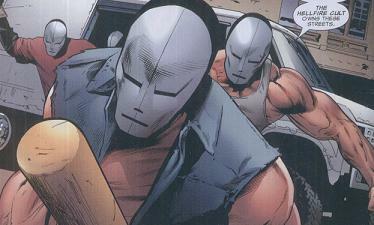 The Reavers established a base in the Australian Outback until the X-Men drove them out, taking the base for themselves. In an attack on the X-Men, the Reavers managed to drive the X-Men to escape through the mystical Siege Perilous and capture Wolverine, crucifying him. The Reavers next attacked Muir Island. The Reavers were later destroyed by Sentinels sent by Trevor Fitzroy of the Upstarts. He later resurfaced to trouble the X-Men. Later, he tried to take over the Hellfire Club but failed. He survived the attempt and was forcibly captured by the Purifiers after which Bastion infected him with the T-O virus, gaining control of him. Pierce masqueraded as Cyclops to trick some young mutants to forming the Young X-Men to fight former New Mutants members. His ruse was eventually discovered and he was captured by the X-Men and imprisoned in the X-brig. 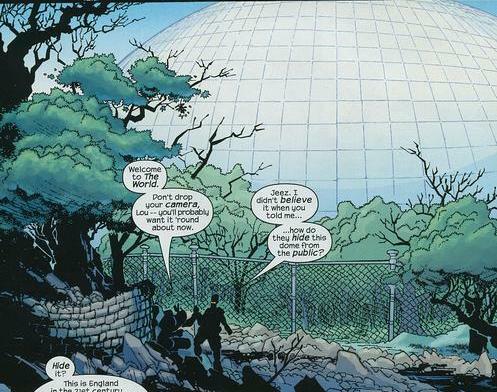 In fact, Pierce was intended as a mole in the X-Men's base as he sent information back to Bastion. When Bastion launched his offensive on the X-Men, Pierce was given the order to cripple the X-Men by destroying their jets. After completing his mission, he faced the X-Men and Cyclops killed him. Posing as German spy Leni Zauber, Mystique seduced freelance assassin Victor Creed while he was in Germany on a mission. Mystique later gave birth to a normal human child - Graydon. Graydon was given up for adoption and when he learnt the truth of his parents, he grew resentful of mutants. He formed the anti-mutant organization Friends of Humanity, dedicated to opposing mutant civil rights. Creed also joined the Upstarts, a group of wealthy and powerful individuals who had been banded by the telepathic Gamesmaster with the purpose of killing mutants for points in a game. Later, with the support of the anti-mutant taskforce Operation: Zero Tolerance, Creed nominated himself for presidency and ran on an anti-mutant platform. However, he was assassinated on the eve of elections by a future version of Mystique. 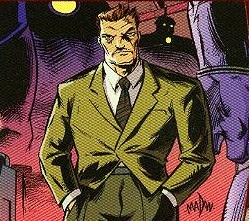 Graydon was resurrected by Bastion and reformed the Friends of Humanity, giving speeches to stoke anti-mutant sentiments. The Hellfire Cult is a group of anti-mutant activists who started beating on up mutants and former mutants who relocated to San Francisco. They were ironically organized by the mutant Empath under orders from the Red Queen (Madelyne Pryor). The U-Men organization was founded by John Sublime, who was also the head of the Weapon Plus program . They view Sublime's book The Third Species to be their bible. Members graft mutant body parts onto themselves to grant them superhuman powers. They also live in specially designed environment suits to protect them from what they believe to be an imperfect world. Weapon Plus was an undercover US-Canadian program dating back to the 1940s which intended to create living weapons for the future. 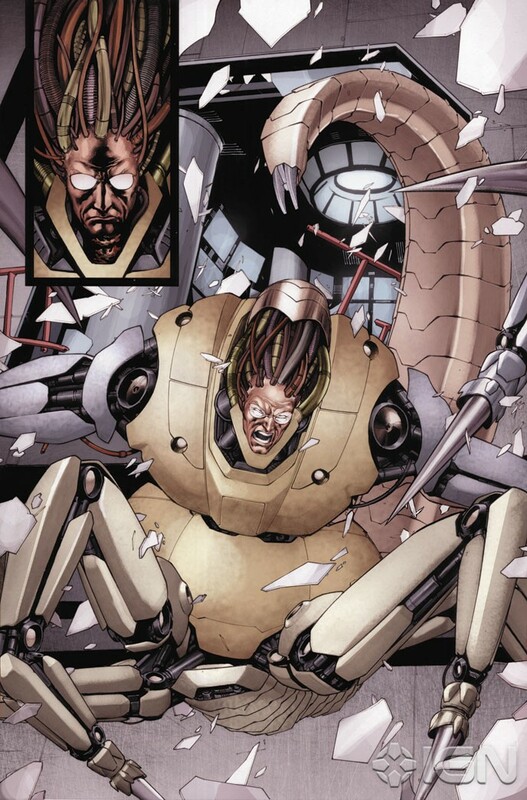 Weapon X (10), the program which grafted adamantium into Wolverine's exo-skeleton, was the most successful of the Weapon Plus program.